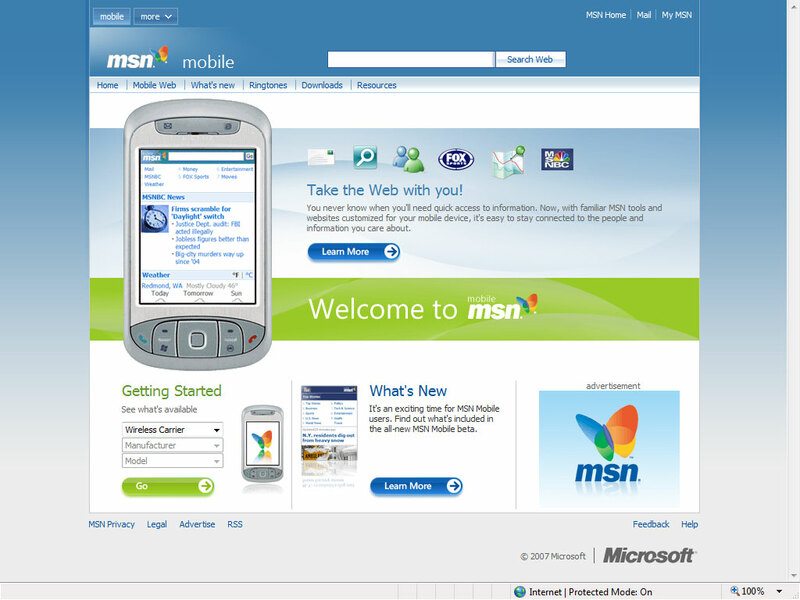 The MSN Mobile Team at Microsoft launched a redesigned MSN portal optimized for mobile phones on Sunday, stepping up its offering at a time when more powerful devices increase the demand for richer content on handsets. However mobile Internet use still represents only a fraction of computer-based Web usage, but that could change with companies like Microsoft who see increasingly powerful mobile phones and faster networks opening the door for new services and content. 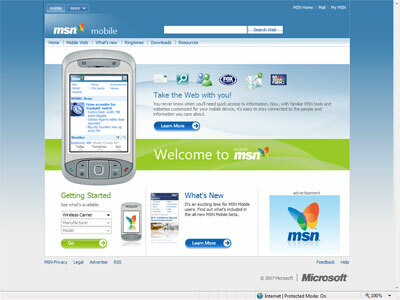 Microsoft’s new MSN Mobile portal available at http://mobile.msn.com offers news, sports information, entertainment features and access to services like e-mail, search, maps and instant messaging all on one page. And what’s great is that when a user accesses the portal, the MSN platform detects the handset and optimizes the site for that device, adjusting things like font sizes for different screens.